Who knew stones could be so powerful? Savannah King did. “Stones ask us to slow down and remember that we are one with the earth,” she says. 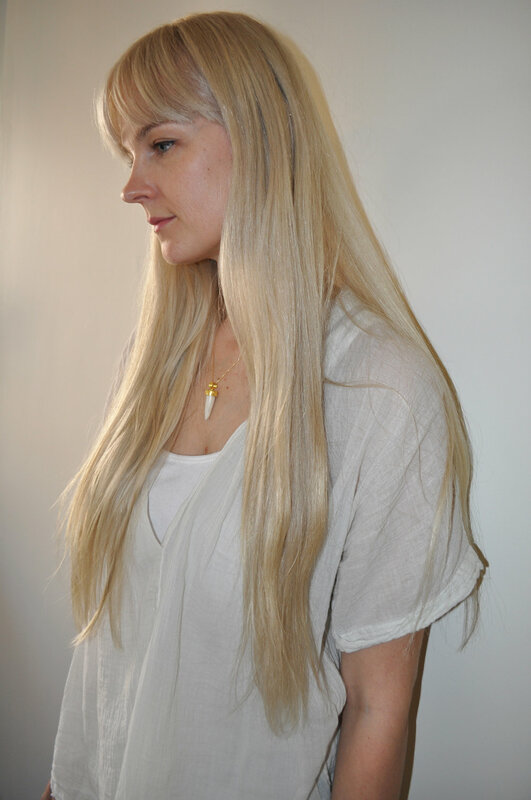 As founder of Third Eye, a collection of handcrafted jewelry made with love and intention, Savannah focuses on ancient and classical goldsmithing techniques that channel energy and symbolism through talismans and one-of-a-kind designs. She also works in Stone Medicine, the Daoist philosophy that everything from earth has a living vibration for wisdom and healing, and that minerals possess opportunity for great intuition. Not only are we huge fans of Savannah’s jewelry, but the meaning behind it makes it all the more beautiful. We had to know more, so we sat down with Savannah to chat stones, jewelry and how they can transform our busy lives. We are obsessed with your jewelry. Can you tell us, what was your path in discovering Stone Medicine and the "trigger moment" in realizing your calling? I have always been drawn to stones but it was only a few years ago that I started "hearing" them. They communicate with us on the vibrational level, an exchange of consciousness through dreams, sensations in the body, and even words when we pause to sit with them. It took me a while to makes sense of it but when I truly opened myself to to this medicine my life changed. I felt a deeper connection to the earth, my body, and my ability to serve and heal. We love that. So how does your jewelry work and your Stone Medicine practice serve each other and overlap? One of the best ways to be supported by stones is by wearing them. I make custom talismans and jewelry that honors the healing properties of the stones used. I work from scratch, employing ancient goldsmithing techniques to make every piece by hand from its raw material to completion. This allows my work to be filled with energy and intention at every step in the process. Can you speak to the science behind Stone Medicine? How is it physical beneficial? Emotional? On the quantum level we are all just particles and waves, a.k.a. vibrations. Stones direct energy in the body aiding both our physical and emotional health. Their finite crystal structures are highly organized and store a tremendous amount of information so they help us to sift through what might feel chaotic in our lives. Wow, ok, so how can we teach our kids about Stone Medicine and how do you think it can benefit them? Kids are natural healers because their intuition is so pure and strong. It's fun to go rock hunting with kids, If you have the opportunity to go out and collect stones, it's a fun way to connect with nature. Talking about how minerals form in the earth over millions of years, how they live in the soil and feed our plants which then in turn then feed us, is a great way to explore some geology and open them to the natural magic of the planet. My 5 year old god daughter loves to give treatments by having me lay down and she places stones on my body. How can mamas benefit from Stone Medicine? Specifically those balancing demands of children, work and more? We can all use a little help in balancing the demands of family, work, and the fast-paced lives we lead. For mamas I always recommend my Grounding Necklace. It's a black beach rock with an open back setting so the stone can rest against the skin providing a sense of calm and grounding. Stones are so supportive in your environment too and don't require much upkeep, which is great for busy mamas. I live on a bustling street in New York so I keep protective stones like Black Tourmaline or Obsidian in the window to help cleanse the energy coming in. I love Citrine in the work space to promote joy and success. Can you speak to your work with clients, is it a journey or do they come to you with something specific? Some of my clients will come to me with a specific intention, from manifesting a partner to support in setting boundaries, or even just a feeling, a color that is joyful to them, a wish to wear something with meaning or gift a loved one with something personal. I'll ask a few questions and meditate on the piece, then select a stone and setting to best serve them. I also ask for any music or mantras they'd like the piece charged with as I find it helpful to listen to music that resonates with them when I'm setting the stone. Love that! So what is your "therapy?" Sitting in circle with other women. Whether that is a tea ceremony, new moon circle, or my book club, it's what keeps me feeling supported and connected to myself and others. Lastly, what makes you fly? Laughter, spending time with my nearest and dearest in nature and remembering to be light enough to fly. Whether you’re working full time, part time or just want a little “me” time on a Saturday, you mamas know how tough it is finding great care. People you can trust with your most precious possessions, who will engage, care for and nurture your children like you would. Lauren Mansell understood the struggle, so last year she decided to do something about it. She launched the app Hello Sitter that enables mamas to find someone at the last minute and know they are experienced, trustworthy and thoroughly vetted. Whether you’re in New York or the Hamptons, you no longer have to text five sitters right before a fabulous party or business meeting. Payment is also secured in-app and you have the ability to store your favorite sitters to create consistency in your child’s care. We were so floored by this incredible idea, that we had to chat with Lauren on this major light bulb moment and the joys and perils of starting a new business with a wee one at home. Break it down for us. How do you even begin to develop an app? Do you have a tech background? I have no technical background and that gave me certain disadvantages but also a lot of advantages. Rather than looking at it like an engineer, I looked at it through the eyes of a customer and made a product that I thought was not only great to use, but easy to understand and nice to look at. I have to learn every day and half the time I felt like I had no idea what I was doing, but I worked hard and leaned on people with more skills than myself. Which is so important that you were able to let go and do that. What was your trigger moment in developing the business? I had left my previous job and knew that I wanted to start a business. While I was researching ideas, I had terrible trouble finding sitters. I didn’t have a 9-5 job and so the guilt of leaving Ady with sitters that I didn’t feel were great was hard. Either I didn’t want them taking her out, or I felt they weren’t engaging with her enough, and the majority of the time I stopped working and rearranged plans so that I could do it myself. I couldn’t understand why there wasn’t a better solution and so I decided to make one. The trigger moment was when I started talking to other moms about my idea and they were so enthusiastic and excited, I knew I was onto something. You definitely were! It’s a very common dilemma. How do you balance a start-up and being a mom? It’s hard and sometimes I struggle, but I try and have dedicated times for each role and in each of them I try to be present. On one hand, it is hard running your own business because the majority of the responsibility lies with you, there is no end time and always something I could be doing (hence why I am writing this at 11pm!) However, it allows you to set your own schedule. I can be at Ady’s school whenever I want or be there when she has a playdate. I have the ability to swap an hour in the day for one in the evening and for that, I feel very grateful. What was this morning like for you? This morning was actually great because it is the first day of spring break for Ady. Normally we are rushing, trying to be ready and eat breakfast before we have to leave. However this morning, we slept in, played picnic in our pajamas until the nanny arrived and then I jumped in the shower. Love that! What is your therapy? Shopping. I have a slight addiction and I don’t think my husband will ever understand when I try and explain the peace it brings me when I am shopping or the calm that washes over me when I am in a department store. It sounds weird but it is my happy place. Um, we can definitely relate! What has been a mistake you made along the way and what did you learn from it? I make mistakes daily, I think the best way to learn is to make mistakes. The biggest one though is thinking I can do it all and do it all well. This was not the case - I couldn't run the day-to-day, all the social channels, build partnerships, and run marketing, be head of support, head of product and PR. I tried to give ‘everything’ but made errors thinking about too many things at once. Totally. OK you're stranded on a desert island, what are the five things you need? My husband, my daughter, a satellite phone, sunblock and a hammock. Hammock! Yes. Lastly, what makes you fly? Being surrounded by people. I am a very shy person but once I make friends I hold them close and nothing makes me happier than being around good friends and family. Just chatting about nothing, laughing and enjoying each other's company. They say humor heals and I couldn’t agree more. Elissa Dunlop is a West-Coast transplant who’s bringing a bit of Cali warmth wherever she goes. Lately that means styling clients at Warm, Rob Magnotta and Winnie Beattie’s dreamy, resort-driven shop in Nolita that practically begs you to book a trip St. Tropez, Marrakech or even Montauk ASAP. Elissa, whose background includes styling fellow vacay-inspired boutique Calypso St. Barth, as well as designing a line of vintage print bikinis and working as a holistic nutritional health coach, began working at Warm one year ago and says she is constantly “inspired and motivated by the energy of the shop and everything it houses.” So are we! As the weather heats up, we turned to Elissa to find out how she styles her favorite Warm-weathered pieces. OK so we are obsessed with Warm. Tell us, how did you land there? Warm has been on my radar since it opened. I’m attracted to and love styling clients in the eclectic curation of designers with a nod to the 70’s beach, surf and skate cultures. Warm is all things good in one place and I knew I wanted to be a part of it. Every time we visit, we think about where we’re going next. What are a few must-haves from Warm we can work into our wardrobes whether on vacation or in the city? Light weight jackets like the Warm trailer jacket. I love a boxy shape that can be worn open or belted like a low v-neck karate jacket. AND it's reversible. Also the Mabel denim jacket from Brooklyn-based designer Ilana Kohn. It’s her take on a vintage 60’s French work jacket but animated with quarter size white buttons down the front. Use them to top looks as the weather transitions from spring to summer temps. Balance with clean lines of a body suit like this metallic burnt orange color from Fluer du Mal or shorter floaty or ruffled tops like the Warm Colada cami with the coral palm tree print. We're totally feeling all of that. So what are some of Warm's biggest trends for this summer? Warm colors found in sunsets and rainbows, exaggerated tiers, bell silhouette floral prints, stripes, and ruffles. I love these shapes! Lastly, what are the best pieces for those hot summer days into nights? An 'Electric Feathers Ruffle' kaftan in Marigold. Our Warm 'Eden' dress in Jungle print, Jennifer Fisher’s Samira hoops and a Manon Ocean Band Ring. The onset of spring signals summer before we know it. Yes once the temperature hits 65, it’s only a matter of weeks before it’s “swimsuits and sunnies” season. Spring calls for a number of refreshes - from our hair, to our beauty products to our clothing. I also love a little wardrobe refresh for Callum, from our go-to brands, as well as new ones. Callum and I headed to LaLa Land over Spring Break, where he was able to sneak peak some of our favorite new pieces that will have him splish-splashing in style all summer along. Check them out below. This is the third collaboration between Lara Aguilar, brainchild behind Bobo Choses and Jan Abdreu. The result is magic. The quality is amazing and everything is worn into perfection for that 1970’s vintage vibe. Callum especially loves the tee’s, tanks and sweatshirts, because the feel is so yummy and comfy. Everything is so relaxed and super easy to wear. Hands down, one of my favorite brands. So cool and stylish that I wish it came in adult sizes! Inspired by the birth of her son Beau, Faye Wilde launched this unisex (yes)! line in 2010 featuring a palette of black, white and grey, always mixed with a hint of color. This season is all about love and hearts - the summer of love, indeed. Hands down the best flip flops. Callum literally lives in them from the moment it hits 70 degrees. They come in a bunch of variations, from fur to metallic, but we also love the entire line. Akid was founded by wife and hubby duo, Ashleigh Dempster and Matt George. After their first son was born, they saw a void in the market for cook kids kicks. Thanks guys! Founded in 2006 by illustrator Cassandra Rhodin, this Swedish label is Callum approved, namely for the creative graphics on its tees, as well as all the shorts and sweatshirts. I especially love the boy’s swim shorts, this fitted style is so hard to find so I always scoop up a bunch each season. The best part is that the fabric is made of 78% recycled polyamide, aka residual fishnets, old carpets and production waste. These fishnets would otherwise end up in the world’s oceans, trapping fish and destroying coral reefs, so that’s major! Started by Julie Siden and inspired by her daughters, Sid NYC is a complete collection of tops, dresses, skirts and pants. We’re loving the vintage, one of a kind Levi’s jackets. Callum has already been rocking his, from the playground to dinner to the beach. This skater inspired kid’s line is based in Australia, which makes complete sense since it is all about sun and surf - PERFECT for summer. There’s a strong music influence too and Callum always loves the graphics on the tees. The shorts are super comfy, with their oh-so perfect drop crotch. Callum always feel like he’s “taking a walk on the wild side,” while still being totally adorbs. I’ve never been much of a “makeup person,” but I recently came to a point where I felt like I needed to start using, well, SOMETHING. 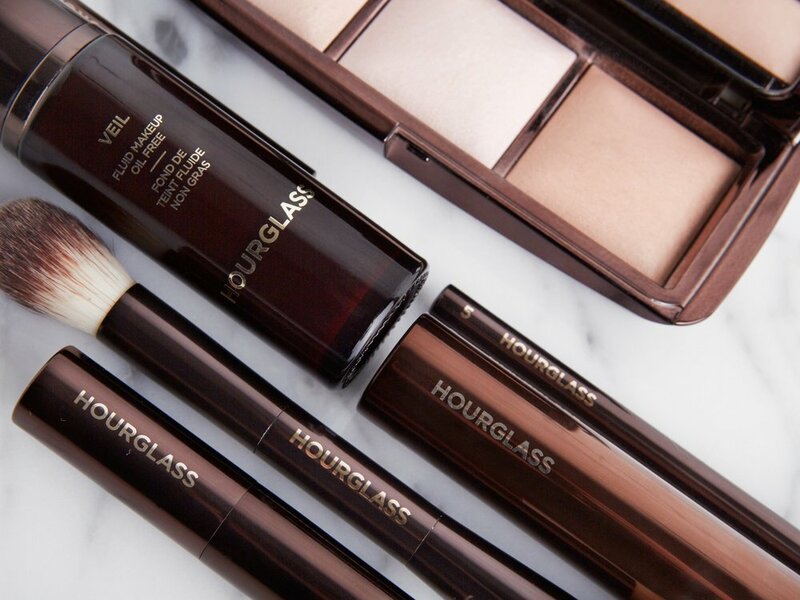 I kept hearing about Hourglass and how natural-looking it was, so a few months ago, I found myself at the Hourglass counter at Barney’s, where I became obsessed. I worked with Laurette, a super-chic French woman, with that “je ne sais quoi” cool. 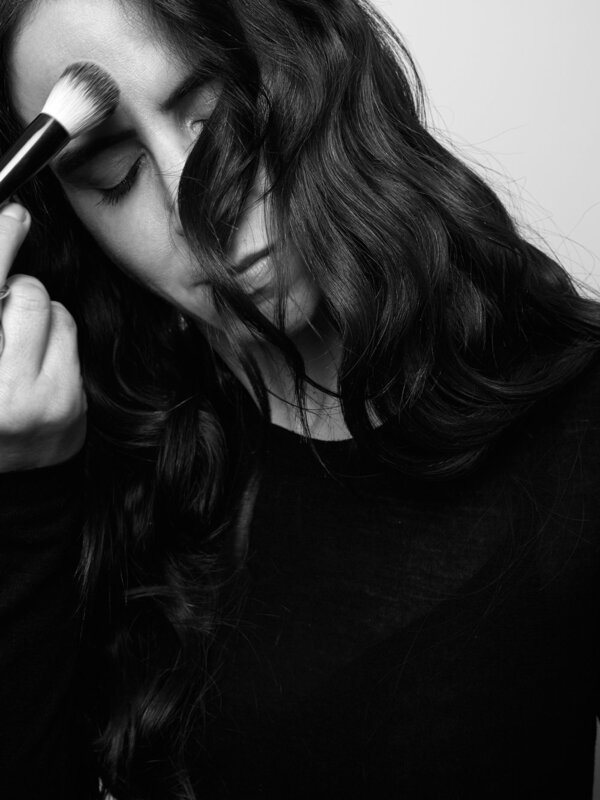 With an effortlessness that only the French have mastered, she showed me the line’s core products and how easy they are to apply, combine and include in my daily routine. I loved the way she applied it all, but to be honest, I was a bit overwhelmed and not sure I could replicate it at home. I was worried I would look too “done,” and would have to set aside even MORE time in my morning. I feel like I already spend enough time applying all my lotions and potions, so I was a bit nervous. I figured I’d start slowly, first with the Primer and the Veil Foundation. Baby steps! But the next morning, I couldn’t believe how easy it was! And so natural!! Everything blended and layered so easily. Here are the products I took home, fell hard for and now use everyday. Did you know around the world, one bottle is sold every minute! I never used primer, it always seemed like an extra step and I thought it would make my skin feel cakey. But this one is so unbelievably light, it truly feels like silk. And it has SPF too. Foundation, or even just powder, glides on so much better afterwards. I’ve also never used foundation, I always assumed it would feel too heavy, but this is exactly the opposite. It feels like you’re not wearing anything at all. I don’t wear it everyday, but on the days that I feel like I need it, it’s just the right amount of coverage and it looks so natural. This product works so well. It’s so great for covering up dark circles (always needed)! Because it’s so creamy it blends easily and naturally. And you don’t need much. I love the substantial weight of all the brushes. The shapes are perfect for blending, contouring and they give you complete control. I love the Vanish Seamless Finish Foundation Brush and the N5 Concealer Brush, but my favorite is the Ambient Lighting Edit Brush. I love that it has both sizes in one. I use the bigger one for all over and the smaller is the perfect size and shape for highlights and right under the brow. This compact features three powders in one and is perfect on-the-go or at home. It is literally all you need. I use Radiant Light as all over powder and it sets everything. I love Incandescent Light for highlights - I use it for cheekbones and under my eyebrow for extra pop. The powder is great even when you don’t use foundation, it definitely gives you enough coverage. If I only had time to do one thing, I would choose to fill in my brows. I’m all about brows and I adore this pencil so much. It gives you Brooke Shields eyebrows. Period. I use Dark Brunette because I like my brows on the darker side. This pencil fills in so easily and blends super well. And even if I do too much by accident, it comes off easily without having to start over. Lifesaver. 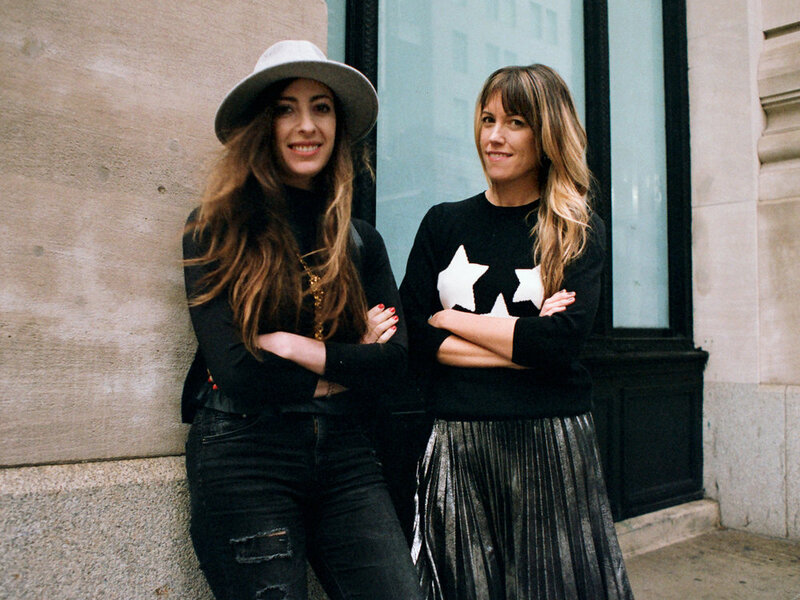 For Carissa Tozzi and Gena Mann, working together was meant to be. The pair grew up in the same town on Long Island, crossed paths in the media world and later ended up close by in Connecticut. But the real magic came when Carissa sought advice from Gena for friends who were struggling with their autistic children, as one of Gena’s four kids has autism. Carissa then shared a top secret project she was working on and despite very few hours in the day, Gena signed on immediately. The result? Wolf + Friends, a cool, modern website that offers toys, fashion and gifts for children with developmental delays. We’re talking happy, stylish pieces that would fit inside any Pinterest-worthy bedroom. We spoke to the pair to get the intel on Wolf + Friends and how this amazing website came to be. So you’ve been friends and colleagues for a long time and now you’re working together in such a beautiful way. Carissa, what was your "trigger moment” in launching Wolf and Friends? Carissa- After having my son Wolf, I became obsessed with stylish kids' clothes, decor and toys on Pinterest. I also discovered that so many friends and colleagues were dealing with developmental issues with their children. I knew the only places they were shopping were uninspiring therapy stores. So I spent time researching those shops. I saw that many of the products they sold were on Amazon and that I could find similar items that had the same benefits at cool boutiques around the world. So I decided to curate it all online in a way that was inspiring and informative and helpful. Wolf + Friends is definitely filling a need. What was some of the feedback you got immediately from parents and children? Any specific moments that touched you? Carissa- It is wonderful to hear people feel a loving, uplifting energy when they visit our site. I heard specifically from a mom who designs these awesome, modern balance boards for her autistic child. We sell them now! Gena- I think parents are relieved and grateful to have a place to shop for their children’s developmental delays or differences that feels happy and inspirational instead of depressing! I have written a few stories on the blog from personal experiences with my own kids and moms often reach out to tell me it feels good to know they are not alone. So how do you balance it all, a new website and five kids between you? Carissa- Can you really call it balance?? We try to do the best we can with the time we have. We are both full time moms as well, which I think is really important for what we do. I am spending so much time with Wolf and meeting his friends and parents. I love that people I just met will come to me for advice and recommendations and many experts and parents want to contribute to the site as well. Gena- There’s no such thing as balance with a startup. I am answering these questions at 10:00pm on Sunday evening after putting my four kids to bed. I try to work when my two year old is in preschool and then at night after the kids go to bed. My three other kids are going in 100 directions after school between therapies and activities so I am a chauffeur between the hours of 2:45 and 6pm. I worked really hard to have my youngest, so I will rarely give up any time with her. There is no better moment in my day than the way she squeals at preschool pickup. We can’t imagine how busy you must be! Your team is amazing, how did you put your group together? Gena- Many of the talented people that write for us are occupational therapists, speech therapists, psychiatrists and behavior analysts that I have met through my son's program. These people have helped my child, so we ask them to write about things we think can help other people's kids. What are the next steps for Wolf +Friends? Carissa- We are starting to collaborate with brands that we have always loved, which is super exciting and we are starting to meet with people who know a lot more about “business” than us, so we can get insight and advice on where we can take the brand from here. What's the last book you read with your kids? Carissa- Wolf is into scary looking and informative dinosaur books, so that is what we are reading. I ask him to bring home something funny from the library, but he is in a scary phase and all wants is facts and information! Gena- My big kids read by themselves at night (at least some of them do)! My baby is a big fan of Llama, Llama books and so am I.
Carissa- When Wolf tells me he loves me so much! He is such a sweet, loving, affectionate boy! I want to hold on to those moments forever. And I am so lucky to have such a loving and thoughtful husband who tells me everyday how much he loves me and how beautiful I am. I am very grateful for my little family. Gena- My family 100%. We have a complicated little crew in many ways. We have autism which throws everyone for a loop. We have a 12 year age difference between my oldest and youngest kids and my husband spends a lot of time on a plane traveling for work. But we wouldn't change a thing! When we are all together, we have moments of magic. My husband plays piano and the kids all dance around, we make bonfires in the front yard in the spring and summer. Honestly, when we can get everyone in one room for a meal, we are pretty psyched. Because of our challenges, we appreciate the small miracles. Beam us up Scotty, because we’re taking a trip to space - Space NK, that is. Yes, we are talking about the go-to beauty boutique for insiders, professionals and product junkies like ourselves. Brands upon brands of luxury creams, fabulous color cosmetics and top haircare products. We recently hung out at Space NK’s new Brooklyn outpost, where we basically felt like kids in a candy shop, since our version of candy is primers, glosses, shimmer sticks and hair oils. The store is clean, chic, well-lit and so warm and inviting. Plus, with its prime Williamsburg location, it makes it even easier to shop from whichever side of the river you’re on. Space’s beauty gurus just released their spring edit - a powerful mix of products like amazing highlighters by Kevyn Aucoin, the ultimate eyelash curler by Surratt and the most glam mascara by Rodial . They also carry the super exclusive Byredo line, ONLY available at the BK-NK (got that one?) and in their San Francisco boutique. We added a bit of our faves to theirs, for the must-shop list for Spring that will have you looking photo-ready. As Mamas, Valentine’s Day takes on an entirely different meaning. Of course we love to shower our partners with love and affection, but it’s really all about the kids. So what to get your lil’ ones whose main goal in life is obtaining their next dessert? Enter Eleni’s Bakery, a sweets shop that offers a wealth of adorable, kid-friendly (and nut-free BTW) options. If you’re into monogramming, you can have your child’s face plastered on a sugar cookie or cupcake. Or for a fun, Valentine’s Day activity, opt for the fun “Color Me” cookies in dinosaur, butterfly or heart shapes, they’ll love the edible ink. If your preteens are already hashtag #obsessed with Instagram, pick them up the love emoji shaped treats. You can even design your own cookies. There is seemingly nothing this amazing cookie and cupcake purveyor can’t do, and they offer same day delivery in New York City for all you procrastinating Romeos. Callum and Lucas are huge fans of Eleni’s. This Valentine’s Day, follow along with them as they bite into love, one delicious cookie at a time. If motherhood has ever left you feeling lost or alone (and let’s face it, who hasn’t felt that way? ), the ladies behind heymama are inviting you in to join their community of awesome mamas doing incredible things in the creative space. Amri Kibbler met business partner Katya Libin on a playdate in Brooklyn with their three-month old daughters when the pair became great friends. Though they were both working 9-5 jobs, Amri as a magazine editor and Katya doing business development, they decided to start a site to connect women globally. What made you decide to launch HeyMama? Amri: Our original motivation was much simpler than where we are now. Originally Katya and I were looking for a way to connect with other cool moms, we'd both struggled to find women we could relate to who had kids. In our early brainstorming stages we started meeting up with as many mamas for coffees and playdates as we could to pick their brains and soon realised that the thing we were talking about was our careers, both present and aspirational. Our community wanted to network and share the struggle to make their dreams happen while being a present mother. Katya: We believe that mamas are stronger together than apart and that there is a beautiful community out there of women who are passionate about their voice and dreams outside of motherhood. We wanted to celebrate and connect them together. What was the goal behind it and do you think you're achieving it? Amri: We do! We aim to create a space for creative and entrepreneurial women that encourages and inspires them while providing real insight and advice they can relate to. We get so much interaction from our followers saying that it's made a difference for them! Katya: We would love for mamas to feel connected and unified in their shared personal journeys to build their companies and express themselves creatively while being parents. We know it can feel isolating at times when you're sending an email at 2am but there are so many mamas doing the same, it's comforting to know that you're dreams are not too big, and achievable with the right support system. What’s been your proudest moment on the site? Katya: I think my proudest moment was having a mama with a small chocolate business email me the nicest note I've ever been sent. We were able to help her business in a powerful way and she told us about how she was able to show her daughter how hard works pays off. I think I cried. That and being in Vogue Bambini was pretty cool!! What were some of the issues you were facing as a new mom that contributed to this idea? Amri: We were going through the same thing at the same time. I didn't have a strong network of mama friends I could relate to and lean on, so I felt isolated in that part of my life. I also wanted to make a career change and was looking for answers on how to figure out what I really wanted to do and how to get started. heymama was created out of a search to fill those two voids. What do you hope women will get out of HeyMama? Amri: The support system of community. A reassurance that the opportunities available to them are not limited to the jobs on LinkedIn. That there are women crafting their own career identities and building brands, women just like them, who started out with just ideas and turned it into a successful business.